London (AFP) - Liverpool defender Dejan Lovren says the Premier League leaders can go through the whole season unbeaten, matching the achievement of Arsenal's 'Invincibles' in 2003/04. Jurgen Klopp's side are one point clear of defending champions Manchester City after 14 wins and three draws from 17 games. "Hopefully we can be unbeaten until the end of the season," said Lovren, buoyed by Sunday's victory over arch-rivals Manchester United. "Of course it will be a challenge but this is what we want, this is why we came here to Liverpool, because we know we can do it. Arsenal did it before so why not?" Liverpool have not won the English top-flight since 1990 but could extend their lead over Pep Guardiola's City to four points with a win at Wolves on Friday. 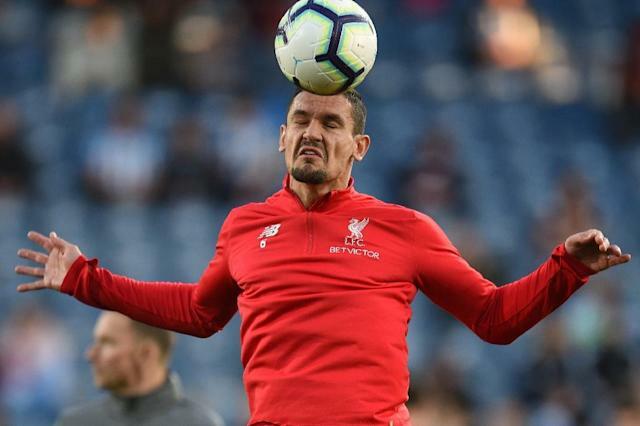 Lovren knows their title rivals have few weaknesses and the outcome of the season will most likely come down to who makes the fewest mistakes. "I'm not sure that they have any weaknesses," he added. "Last year they won by 19 points. They know how to manage even when they lose. They also lost one or two games last year and still they managed to be 19 points ahead."